SAN JOSÉ, CA (July 29, 2018) – The Mubadala Silicon Valley Classic announced today that two-time Grand Slam champion Garbiñe Muguruza will play Wednesday, August 1 at 7 p.m., and defending champion Madison Keys will begin her title defense during the day session on Thursday, August 2. Tickets for the 2018 Mubadala Silicon Valley Classic, July 30-August 5 at San José State University are on-sale now at www.MubadalaSVC.com. Muguruza will play the winner of Monday’s 7 p.m. match between Victoria Azarenka and Kateryna Bondarenko. Keys will face either Ajla Tomljanovic or a qualifier. Other matches already announced include Serena Williams versus Johanna Konta on Tuesday, July 31 at 7 p.m., and Venus Williams versus either Heather Watson or Claire Liu on Thursday, August 2 at 7 p.m. Formerly known as the Bank of the West Classic in Palo Alto, the Mubadala Silicon Valley Classic is a weeklong WTA Premier event bringing the worlds of tennis and technology together in a festival of sports and entertainment. The new venue at San José State University will provide a high-end, family friendly atmosphere and will put fans close to the action as they watch their favorite stars compete. Highlighting the best the region has to offer, the tournament will showcase a complete entertainment experience including locally sourced cuisine, fine wine and cheese selections, interactive fan exhibitions, premier hospitality options, daily autograph signings, and of course, incredible tennis action. Featuring a 28-player singles draw as well as a 16-team doubles draw the tournament will bring the best female tennis players in the world to the Bay Area and serves as the opening women's event of the US Open Series. With several different ticket options available, the Mubadala Silicon Valley Classic has something for everyone. To purchase tickets go to www.MubadalaSVC.com or call 1-866-982-8497. ABOUT THE MUBADALA SILICON VALLEY CLASSIC: The Mubadala Silicon Valley Classic is the longest-running women-only professional tennis tournament in the world and is the first women’s stop of the US Open Series. Owned and operated by IMG, the WTA Premier event features a 28-player singles draw and a 16-team doubles draw with total prize money of $799,280. Co-founded by Billie Jean King, the tournament was first-played in 1971. The list of past champions reads like a who's who of women's tennis including Serena Williams, Lindsay Davenport, Billie Jean King, Chris Evert, Martina Navratilova, Andrea Jaeger, Monica Seles, Martina Hingis, Venus Williams and Kim Clijsters. ABOUT MUBADALA: Mubadala is Abu Dhabi’s leading strategic investment company, active in 13 sectors and more than 30 countries around the world. Mubadala is a pioneering global investor, deploying capital with integrity and ingenuity to accelerate economic growth for the long-term benefit of Abu Dhabi. Mubadala owns GLOBALFOUNDRIES, the world’s second-largest pure-play semiconductor foundry with more than 7,000 employees in the United States. It is also opening its first US office in the Bay Area in 2018, focusing on ventures investments in technology. Headquartered in Abu Dhabi, it is the largest shareholder in Advanced Micro Devices (AMD) and has investments across 13 key sectors across 30 countries. Their work includes the development of global industrial champions in sectors such as aerospace, ICT, semiconductors, metals & mining and renewable energy, utilities, and the management of diverse financial holdings. They build on legacy expertise in oil and gas to invest across the hydrocarbon spectrum, and enhance the UAE’s growth potential through investments in healthcare, real estate and defense services. Their investment approach prioritizes partnership with best-in-class organizations and a commitment to the highest standards of governance. ABOUT THE US OPEN SERIES: Entering its 15th season, the world's best players on the WTA and ATP World Tour are coming together for the US Open Series. Linking seven summer WTA and ATP World Tour tournaments to the US Open, the US Open Series serves as a true regular season of hard court tennis. 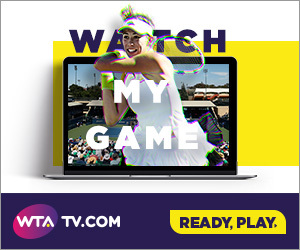 Featuring a cohesive schedule, the Series centralizes the way tennis is viewed in North America, across multiple television and digital platforms. Fans will see today's top champions go head-to-head with tomorrow's emerging stars, as storylines develop throughout the summer season. Each tournament also engages its local community with a variety of outreach initiatives, including grassroots youth tennis clinics and activities. ABOUT IMG: IMG is a global leader in sports, fashion, events and media, operating in more than 30 countries. The company manages some of the world’s greatest sports figures and fashion icons; stages hundreds of live events and branded entertainment experiences annually; and is a leading independent producer and distributor of sports and entertainment media. IMG also specializes in sports training and league development, as well as marketing, media and licensing for brands, sports organizations and collegiate institutions. IMG is part of the Endeavor (formerly WME | IMG) network. ABOUT SAN JOSÉ STATE UNIVERSITY: The founding campus of the 23-campus California State University system, San José State provides a comprehensive university education, granting bachelor’s, master’s and doctoral degrees in 250 areas of study – offered through its eight colleges. With more than 33,000 students and nearly 4,370 employees, San José State University continues to be an essential partner in the economic, cultural and social development of Silicon Valley and the state, annually contributing 10,000 graduates to the workforce. The university is immensely proud of the accomplishments of its more than 260,000 alumni, 60 percent of whom live and work in the Bay Area.